Some Japanese believe that if you have your car blessed by a Buddhist priest, you will avoid accidents, tickets, and possibly even bird droppings. 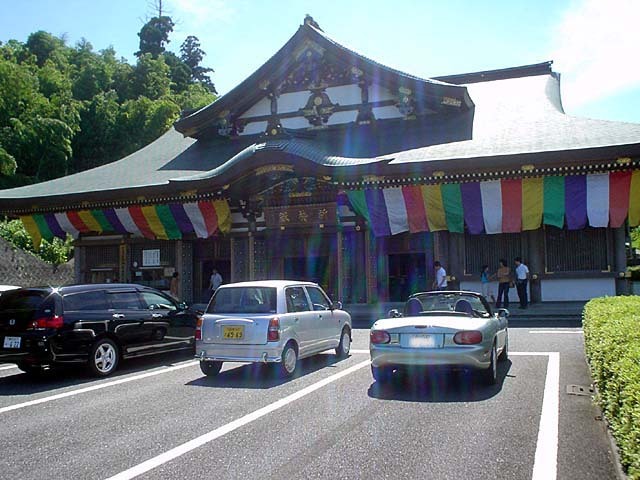 Kawasaki-Daishi is one of the temples that has a parking lot for this exact purpose. The white grid is where cars await their spiritual collision coverage, the yellow grid is where the blessing takes place, large enough for 110 cars. Narita-san in Chiba is another temple famous for these ceremonies. Such metaphysical peace of mind will cost you about $70. tagged: car blessing, japan, kawasaki-daishi, narita-san. 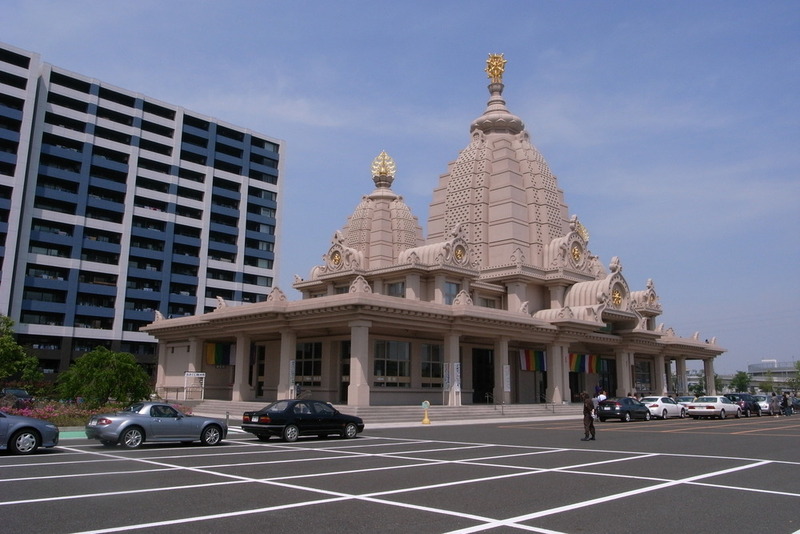 There’s temples like this in Malaysia too, with parking lots in front of the temple, but I doubt there would be monks coming out to bless your car, LOL. Similarly, I hear Thailand practices similar traditions. huh. two silver miatas; an NC and NB. trend? hehe. The photos are from Roy’s blog. He lives in Japan and drives a Miata (that’s his car in the pictures). His blog is a fun view at living in Japan. Yup, Roy changed his blog recently which is why the credits link to 2 different sites, but they are from the same Roadster nut! My RX-7 has a traffic luck charm my dad brought back when he was on a business trip to Tokyo. The car was designed by a Shinto-Buddhist, built by a company owned by Shinto-Buddhist, the workers on the assembly line were Shinto-Buddhist. Shinto and the ancient Animism beliefs of Japan hold that all things, even inanimate objects, have a Kami (spirit or soul). A lifetime of working with cars that sometimes act temperamental, cease working for no reason, and start working again for no apparent reason, and I am absolutely certain that cars have souls and consciousness. And given the origin of the cars I am dealing with, I’m sure they are Shinto-Buddhist. I am also sure that if I put a little Saint statue on the dashboard of my Shinto-Buddhist car, it’s going to punish me for not respecting it’s religion. The car doesn’t care what my religion is, or what the religion of the other cars or motorists around it. It’s Shinto-Buddhist and it’s happy with that. So I have put together little strings of Omamori charms that look more like charm bracelets. Some I picked up myself at Ise and Miyajima, others I asked friends to send me. But these are all for driving safety and every region has a temple or shrine specializing in driving safety with brisk sales of their driving safety Omamori. The funny thing is that when I talk to friends and say “The car broke down, the Omamori didn’t work.”, they respond with “Well, you didn’t get hurt, the Omamori worked.”. So I have not been able to find an Omamori specifically for protecting the automobile itself. And I have not found an Omamori for victory in racing competition. The closest seems to be the Daruma charms for luck with college entrance exams. There is supposed to be a temple in the north that specializes in sports, but I have never managed to get there.